Bungalows don’t come across as the most obvious of investments, but when it comes to the value of the property and attracting new buyers, they are hard to beat. Recent figures from Communities and Local Government (CLG) have shown a decrease value in semi-detached houses by 1.5% and flats by 2.9%, bungalows on the other hand have only fallen by 0.6%. In challenging markets, it is the properties that are in short supply which hold their value, which is where the bungalow comes into its own. Bungalows never used to be considered as ‘good’ investments; however, nowadays it is one of the safest of investments. According to the Policy Exchange who has published its Housing and Intergenerational Fairness study, many British people prefer to live in bungalows than any other type of building. Bungalows are very popular amongst older generations as it is considerably safe, very accessible and easy to clean. Across surveys dating back from 2000, Halifax bungalows have become people’s favourite type of home. Having said this, it has become apparent that no one is building bungalows anymore. In 2009, there were only a total of 300 new houses built in the UK alone, with only 2% of the UK’s housing stock consisting of these new homes. 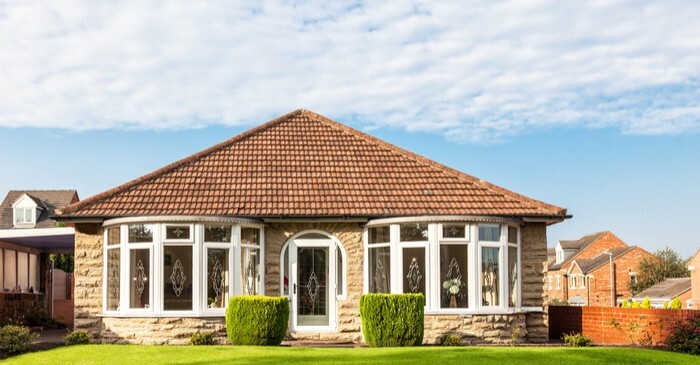 With the UK having an ageing population, bungalows have become a rewarding opportunity for investors. Many older adults that used to live in large family homes tend to downsize to a property that is easy to manage as a whole and is more catered for their needs. With bungalows offering large amounts of space whilst only having one floor, they seem to be the perfect solutions. Building more bungalows will help in resolving the matter of the shortage of homes for younger families. Bungalows are considered one of the more appropriate investments to make for landlords who looking for a long term investment. Bungalows may appear expensive by many investors when compared to the amount of rentable accommodation they offer. Whilst they may not exactly appeal to younger renters, with an ageing population, the accommodation provided may rent for an increasing premium as the demand from older renters increase.